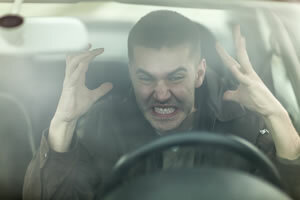 In a recent study published in the Accident Analysis and Prevention journal, research suggests people who have suffered from a traumatic brain injury (TBI) may be more prone to road rage. Previous studies link car accidents to substance abuse or psychological stress. Therefore, this study tried to discover if there is a correlation between people who have experienced TBIs and aggressive driving. Researchers reviewed 4,000 Canadian adult drivers from 18 to 97 and looked over their driving history. Aggressive driving - Making threats to harm another driver or passenger, or going through with these threats by damaging a vehicle. Traumatic brain injury is a head injury that caused a person to lose consciousness for more than five minutes or required the victim to stay at a hospital overnight. Results of the study showed that people who had at least one TBI had a greater likelihood of being involved in a car accident that led to injuries and property damage. These individuals had more incidents of aggressive driving than those without brain injuries. Although an association was found linking aggressive driving and traumatic brain injury, researchers said it is too early to determine a contributory relationship. However, data did indicate that many people have experienced TBIs, so it is imperative to understand how head trauma impacts driving behavior. Understanding how traumatic brain injuries affect road rage and traffic accidents may improve traffic safety for everyone. If you have been hurt in a traffic accident with an aggressive driver, you may be entitled to file a claim seeking compensation for property damage, medical bills and more. The experienced auto accident lawyers at Phillips Law Group can help you determine your legal options. Schedule your free consultation with a personal injury lawyer by calling or texting 1-800-706-3000 or filling out the Free Case Review.